The repetitive in and out movement of felting needles is mesmerizing and appeasing. 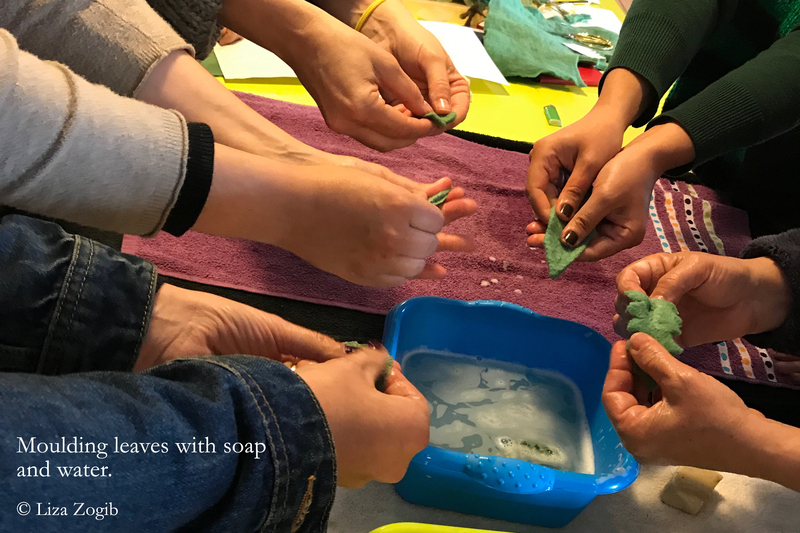 Very occasionally there is quiet in the workshop, each one of us fully immersed in this new felting technique we are learning. Mostly though there is a lot of talking, mostly in Spanish, laughing, and the occasional yelp as needles pierce into inexperienced fingers. 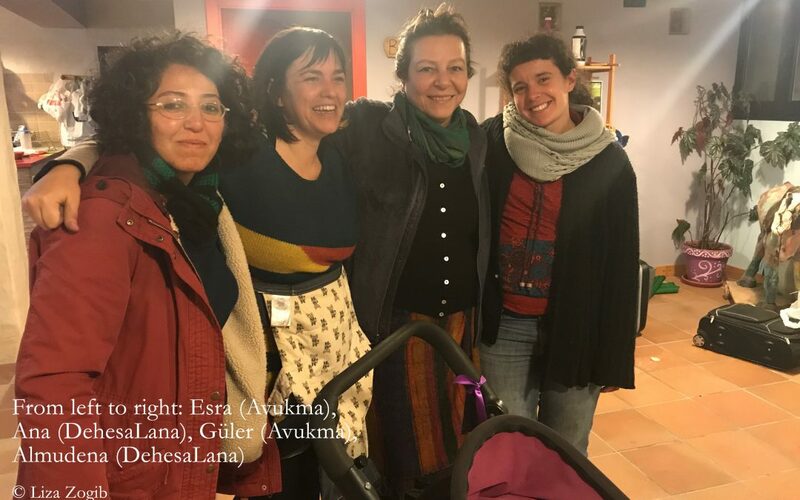 Güler Sarıgöl Köymen and Esra Kartal from the women’s cooperation Avukma in Izmir, Turkey, have come to the beautiful village of Hervas, Extremadura, to take part in the very first One Square Meter exchange. Avukma works with women to revive and promote traditional arts and crafts, and working on the special connection of women with nature. Joining the ladies are Trashumancia y Naturaleza and DiversEarth (collaborating partners in the One Square Meter project along with Yolda Initiative), WWF-Spain and a host of Spanish friends… A wonderful group of women, where many friendships were established and everyone learned how to felt! 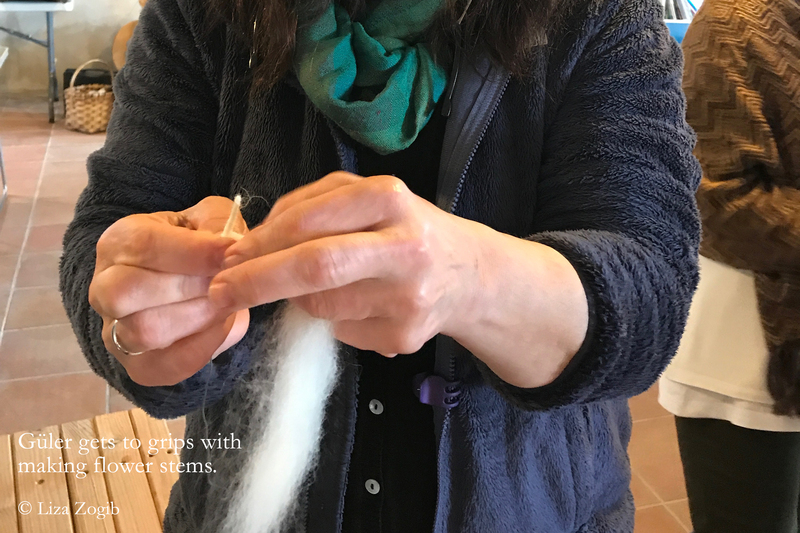 A couple of kilometres outside Hervas is the workshop space of DehesaLana, the Spanish women’s association, working with and promoting wool crafts and products. DehesaLana first brought the One Square Meter idea to life and are now so enthusiastically sharing and mentoring women from other communities to create their own square meter masterpieces. ‘You will need patience’ says Almudena of DehesaLana. ‘A lot of patience!’. But it isn’t just patience that is required. 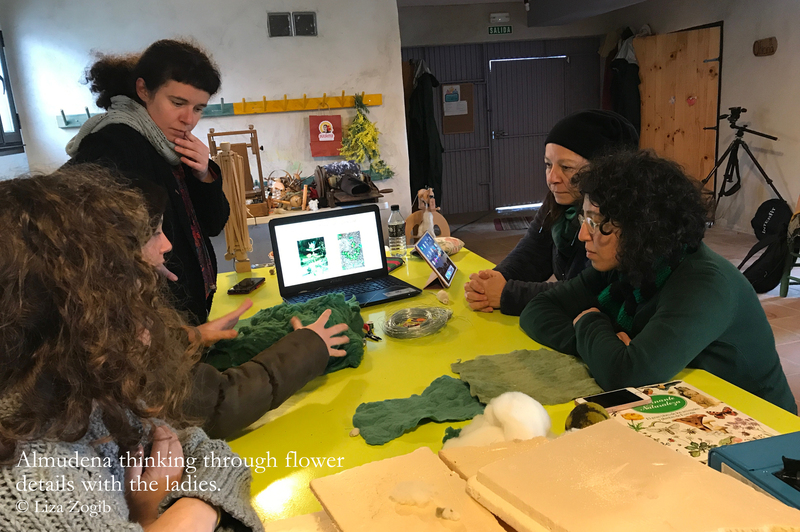 The technicalities of preparing and dyeing the wool with flowers and barks, and then of creating lifelike plant species, require a whole range of skills. Almudena takes the Turkish ladies under her wing, showing the process from beginning to end. Initially, it seems daunting, but by the end of two, full and very intensive days together, Esra says ‘I think we can do it!’. Güler is excited about taking the project home to Turkey, sharing with the ladies of the association, and starting work on the Turkish One Square Meter – the progress and development of which will be shown at an international conference on Communities, Conservation and Livelihoods in Halifax, Canada at the end of May 2018. 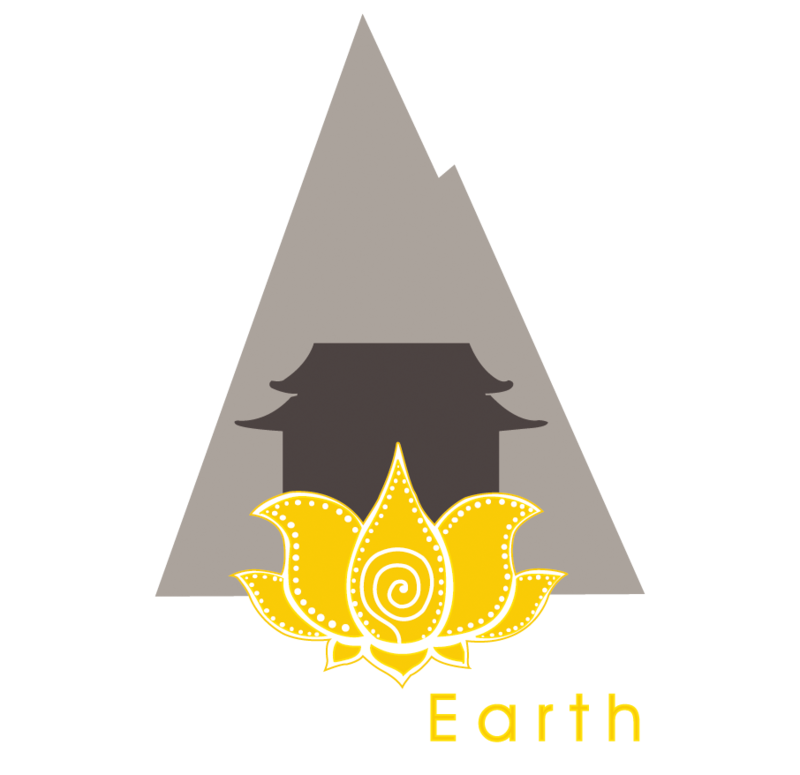 The energy and momentum around One Square Meter has exploded this weekend and will continue to grow as more women from more communities around the world take part in creating One Square Meters depicting the plant diversity found in areas where mobile pastoralism occurs. Next stop Temuco, Chile, where the Mapuche women of Asociacion Wallontu Witral, await their exchange with DehesaLana in mid-April. Thank you, DehesaLana! Thank you, Avukma!